For hard drive swap, maintenance and replacement conveniences. 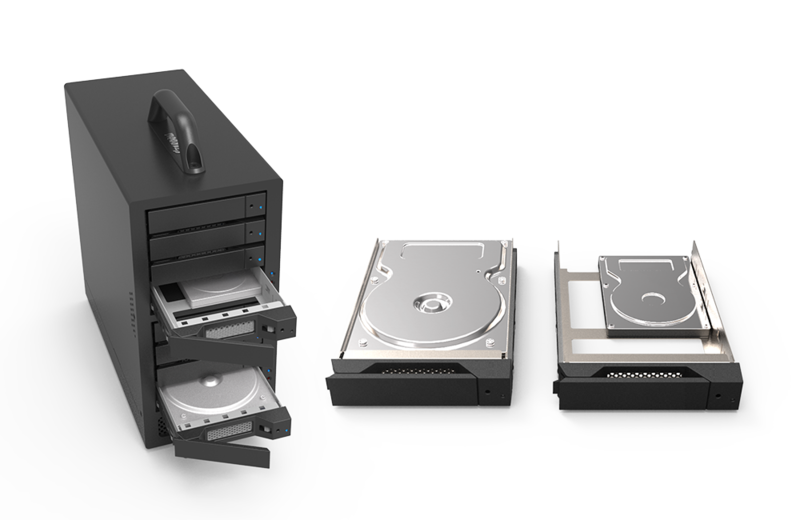 The Stardom removable 3.5” drive trays are designed to fit 3.5”/2.5” SATA or SAS HDD/SSD to be installed into Stardom’s 3.5” drive enclosure systems and are provided for swap, maintenance and replacement purposes. 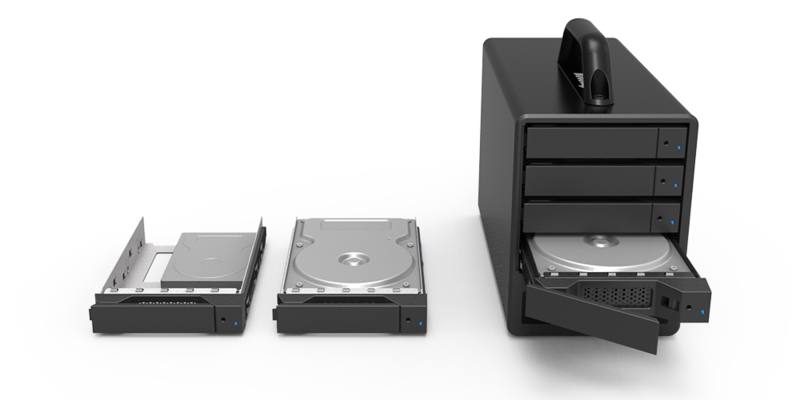 Each also comes with protective casing that well protects the drive enclosed when archiving and mobility is required. 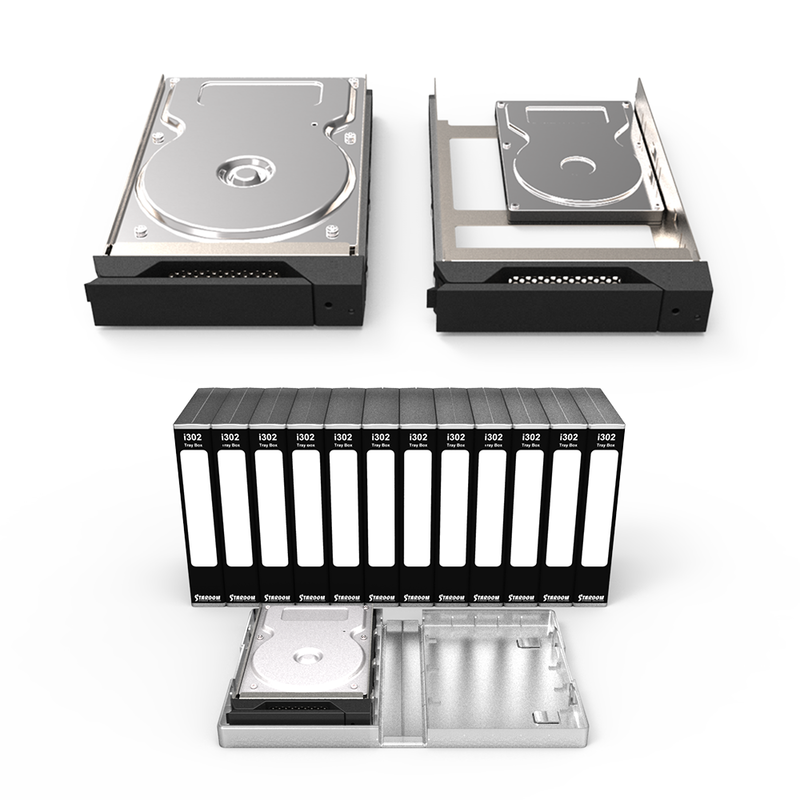 The removable 3.5” drive tray comes in two versions, the silver and the black. And with the exception of their frontal appearance, both are interchangeable to fit all Stardom 3.5” drive enclosures.